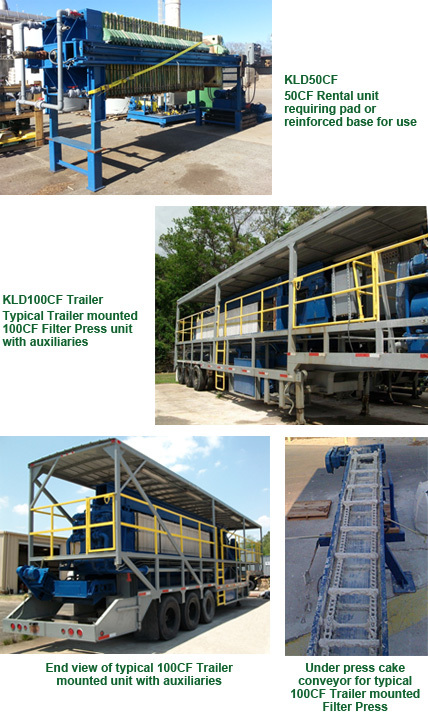 KLD Services offers short and long-term Mobile Filter Press Rentals. Press sizes range from 4 Cubic Feet chamber volume Skid Mounted Units to 100 Cubic Foot capacity Mobile Trailer Units. Auxiliary components such as conveyor belt, cake box and screw conveyor are available as well.